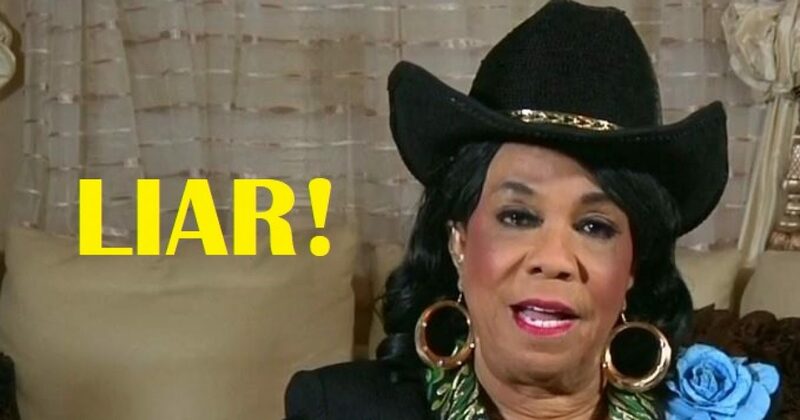 Only a moron would believe that Congressional Black Circus clown Frederica Wilson told the truth about President Trump’s phone call. Yet, the media ran over their grandmothers to present another “fake news” story. These Leftists idiots tried to represent to America that the president disrespected a Gold Star widow. Keep in mind how busy the man is. Nevertheless, he actually called the woman to extend his condolences. I commented on one of the FOX News programs that there is no way the president would have been condescending in ANY way to this widow. He has far too much respect for the military and the sacrifice his family made to do something so crass. Ironically, Obama didn’t even bother to make these calls. General Kelly gave the ex-president a pass, but I don’t think the Commander in Chief is ever too busy to contact the families of those lost in combat. As General Kelly suggested in his press conference, neither does President Trump. We wrote of the preparation by the president to know as much as he can about those who give their lives in service for the country. Honestly, I got emotional when I heard the caring in his voice. He was in no rush to get off the call, though you could sense that the wife of the man who lost his life respected the president’s time. She had to end the call. The wife of the Green Beret who died, Myeshia Johnson wanted to set the record straight. So she tweeted this. Frederica “The Clown” Wilson should be ashamed of herself for using the death of a military man to profiteer. She saw lying about the president’s call as a potential career-builder. How sad. To blatantly lie about President Trump has become the modis operandi for the Left, particularly the black Left. They don’t want to give the man a chance, because the dichotomy between President Trump and former president Obama could not be more clear. Like Obama, the Congressional Black Circus is a stain on the body politic. Most of these relics are a total embarrassment to America. One can only hope that by shining the spotlight on these clowns, blacks will find qualified representatives who really want to affect change in the areas they represent. As Frederica Wilson showcases, her tenure as a Congressperson is about her. Sadly, far too many people consider our representatives rock stars. The real rock star was the Green Beret who gave his life for America. He fought bravely during an ambush that would have had most of Congress looking for a place to hide or begging for mercy. Politics is a serious endeavor. Unfortunately as the Left has showcased, they truly see politics as their personal piggy-banks and stepping stones.